Not sure to be honest. I just know this is a 2019 version. &#x1F614; Sorry cannot help anymore. Anyone know what 2018/2019 differences are apart from the year manufactured? Looks like he has got a slight erection problem. I wasn't too fussed at the time ;p It was like 2 days and it was do-able! That's cool though, I like that! I would buy one without the livery, but cant say I'm keen on all the writing on it. Cheers... bought the one with walls from XLMOTO. Surely better than the Argos gazebo range... hopefully. yeah i was going to order the 24mx one with walls but its out of stock at the moment, good deal that as i think the walls are normally £40-50 on their own! Cheapest this 8 man tunnel tent has been since 2016, seems a great price to me! 20% off all KHYAM Tents and awnings over Easter period. Only Water resistant 1500 mm rating ,even budget Lidl tents are rated 3000 mm. Thank you OP. We are going on holiday this summer, so was on the lookout for a beach tent. Anyone know the internal/open dimensions of this? Thought this weas a great price for a 6 person air tent. Thanks, I've dropped the price to reflect. Price now showing as £259 even better! Got one like this, but a few years old. Brilliant tent. Fab price. Never miss a 'Tent' deal again! Quechua 2 Seconds XL 2 man pop-up tent bargain £49.99 on Decathlon.co.uk! Descent tent for the offer price! I have one and it's awesome, reviews on the website are great as well! Under the "Detailed information" tab! Where does it state that spec? I didn't think Decathlon ever did. This is an excellent price for what it is. I bought the XL 4 family (also from the Quechua 2 Seconds range) for £99 in January (half price) and used it for the first time on the weekend just gone. Very easy to set up and put down, the air beams are very sturdy and once up are complimented by the usual guy ropes to peg in etc. I realise this is not the Air Beam version like mine but still I'm sure its great quality from the same range. A brilliant range of tents. Don't know what the numbers are supposed to mean, but my Quechua popup has never leaked in many a heavy downpour. Suspect they're like lumens for torches - people claim all sorts of made-up numbers, whereas others quote honest figures which seem really low by comparison. 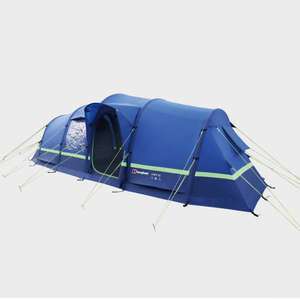 New Eurohike Tamar 2 Man Festival Tent Camping Gear Equipment - £34 delivered @ ebay / Millets - Limited quantity remaining. Tent Accessories. Camping Camping . Camping Accessories. Walking Accessories. Weight (approx): 3kg. Pole section length: 60cm. Pole length : 3.81m x2. Floor: 120g/m2 PE." Used this for a few years running at Glastonbury. Fine for one person with a big bag or two without any kit. Easy enough to put up and take down in a crowded field. Good price for a half decent tent for 2 people to camp in. 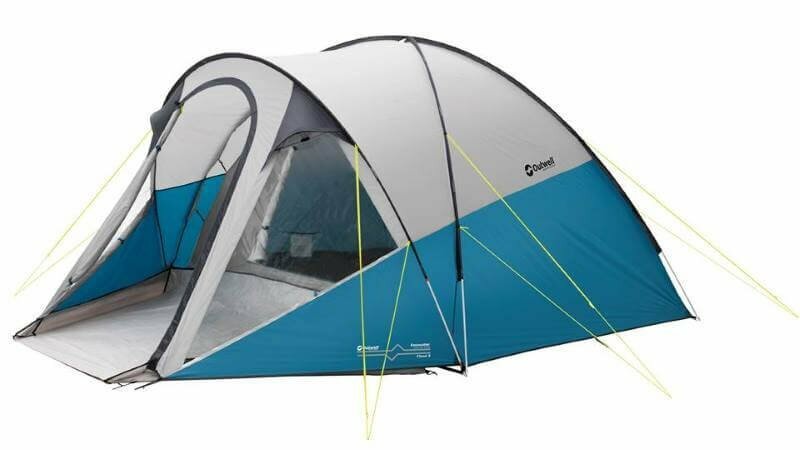 If anyone is interested for family camping, I wouldn't buy it for a family of 4 as it looks too small to actually have 4 or more in for anything other than sleeping at night, generally speaking it is recommended that you buy a tent 2 berths above how many people will be using it for living space to be reasonable. HH rating is only one thing to consider when looking at the waterproofing of a tent, things like what the seals are like, the zips, if the tent has had any other waterproofing/UV protection applied other than the HH of the fabric. A 10,000 HH could still leak if the seals are poor. 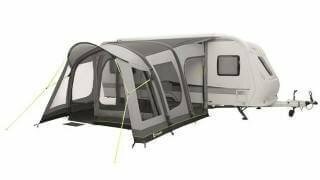 Vango are a good brand id go for this based on the good reviews not someone's scaremongering on HH ratings. You are correct our definitions of heavy rain are probably very different. Glastonbury 2016 a 3000HH was fine. Camping and a red weather warning happened - the tent didn't actually leak but some of it blew away. I wouldn't use one in an Indian monsoon though! You got lucky. And your definition of heavy rain may differ from mine. I've camped in serious thunderstorms and witnessed tents (not Vango ones) collapse due to poor design and poor HH, they were Eurohike ones which I understand are designed for indoor use only. Vango make some good tents, but I personally wouldn't risk camping in this one if there was a possibility of bad weather. Have used a 3000HH for 5 days of intermittent heavy rain. Absolutely no issues at all and Vango is a decent make. So, I have found 3000HH to be waterproof. Thanks, good advice. Looking again at the berghaus it is very blue sitting inside it. Watched a couple of YouTube reviews of the airedale 6; very nice although pushing my budget at 799 which seems the best price currently. No! They will just pull out of soft ground if it got windy especially if the ground was also wet, You would be better with the traditional plastic pegs like these https://www.halfords.com/camping-leisure/camping/camping-accessories/halfords-plastic-power-tent-pegs-10-pack but have a set of hard ground pegs as well for rocky and hard pitches. Plastic content for tent pegs is a really poor idea. Had these but found they kept coming out and had to be hammered back in. Every day the same thing happened. Yes, fine in normal fields. Not great in really sandy/lose pitches like in South of France where flatter pegs are useful. Generally these work well. Would these be ok for soft ground also?? Funny I looked at that tent the other day, had never heard of the make so looked online for some reviews and none of them were complimentary. Stick to a known brand if you want to stay dry. Ok I'll take the tent that fits 6 men and you can have the one that fits 6 women. Also "man" uses to be a generic term. Now it's weaponized sadly. Looks good! How’s the quality? 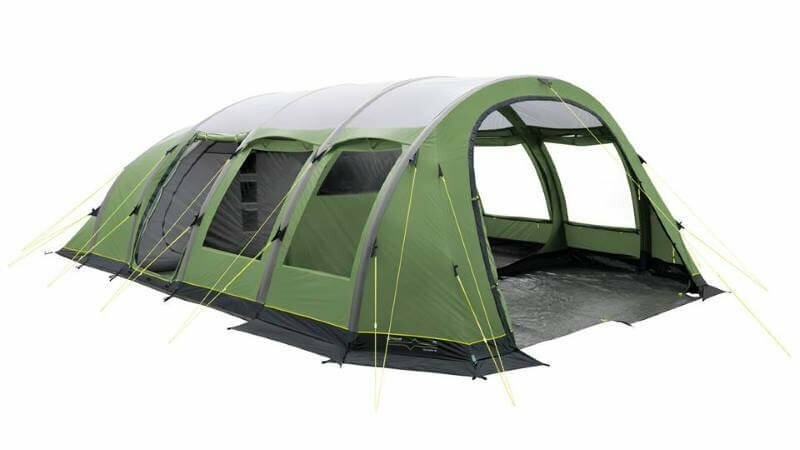 As above, purchased for £167.68 in December 2017 - great tent. Some complain about the removable ground sheet in the living area but it is fully sewn in the sleeping compartments. Good buy at this price - better buy previously. Purpose of the porch is largely to keep the main tent cooler / dry when the front door is unzipped - not overly useful for cooking under / keeping off the shade but better than nothing and able to withstand strong winds. I got mine for £170-odd about 18m ago. Used it regularly and no issues with the fabric. No leaks, no movement in wind, not had to reinflate. I love it. I can put it up by myself in 20 minutes. I agree with the porch being fairly useless for all purposes. You mean I’m losing my competitive edge. Damm. (lol) . Was in original title but mod added incorrect info for another model. I edited and resubmitted. In all the confusion I missed that off the title. Apologies these are genuine deals but Instore Only. I’ve actually purchased this model this afternoon. Instore Dudley Merry Hill Air 4 £289. 2018 model. Also have the 6 & the 8. Great tent - bought it a couple of years ago and have used it for a few weekend breaks. Vwry solid and waterproof. Please note this deal applies to 2018 models only. Instore. Camping is one of life’s great pleasures. There is nothing like sleeping close to nature and waking up with the sound of sheep or the cooing of birds, before unzipping your tent to greet the morning sun. The world is full of beautiful locations to pitch your tent, so find exactly the right size, shape and type and start exploring. Tents come in a wide range of shapes and sizes. Summer or screen tents provide extra ventilation for the hot months, along with features like insect nets. There are three-season tents with extra protection from the elements. 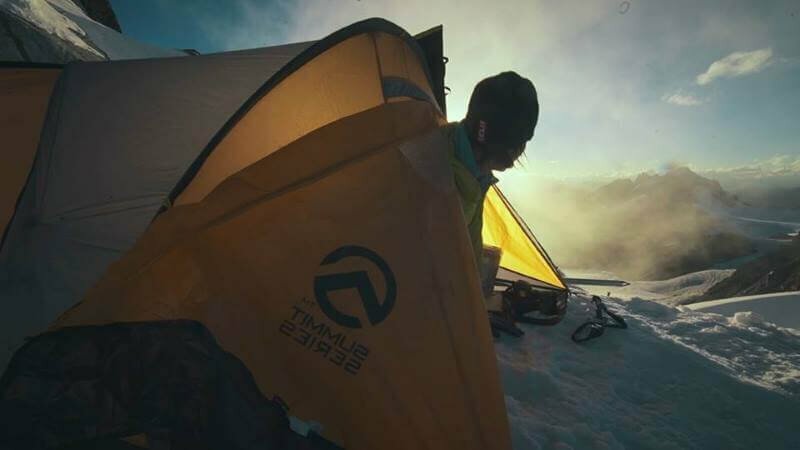 Mountaineering or winter tents come with rugged structures and designs that make them stable in high winds. Convertible models can be altered to suit any camping situation, and simple tarps that can be put up in seconds. Before choosing a particular type of tent, it’s worth thinking about the different features that all tents share. What are the basic things to ask about or look out for when making your purchase? Especially for families and “glampers”, space will be the crucial factor. Most tent makers will provide information about the number of berths (people that the tent can sleep) as well as the capacity in cubic feet. However, this doesn’t always tell the whole story. The shape can also influence how spacious a tent feels. Does the tent have a high ceiling, or are there large areas that seem cramped? In some environments, space is crucial. If you risk being snowed in, or you may need to shelter for hours from the rain, having more headroom makes sense. Not all manufacturers are straight up about the capacity of their tents either. 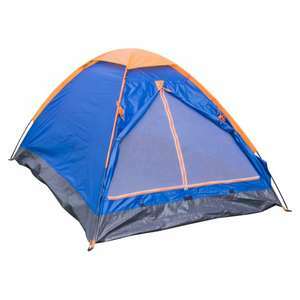 They might list their products as 2-3 berth tents, without factoring in the space taken by your backpacks or cases. As a rule of thumb, subtract one person from the recommended berth number to arrive at a reasonable capacity, and count your baggage as one whole adult person. Next, think about the materials used in your tent. The majority of modern tents are made from nylon, polyester or a combination of the two, but polycottons are also becoming common. As a rule, nylon tents are less bulky, cheaper and ideal for short vacations, while polyester tents will be more suited to extended breaks. Look at the “hydrostatic head” of the materials used. This measurement is crucial, as it gauges how waterproof the tent will be. In British conditions, a reading of 2000-3000 is recommended, so don’t go below that. Check the seams of the tent as well. Double-stitched folded seams will keep out moisture better than basic seams and may be worth the extra expense. Every tent also needs a high quality groundsheet. This lies underneath the tent floor, insulating the interior and keeping it protected from ground moisture. Generally, groundsheets are made from materials like tyvek or tarp, but vary in their weight and thickness. Polycro is a good option for backpackers who need an ultra-light but effective groundsheet. Think about the structure of your tent as well. All tents involve fabric resting upon a structure of poles – but the form these poles take can differ. There are three main types – fibre-glass, steel and inflatable beams, and all have their strengths and weaknesses. Steel poles are strong but less flexible. If you are pitching a family tent and are concerned about windy conditions, they will be ideal. Fibre-glass poles are flexible and light. They are easy to transport via backpacks, and simple to erect, but they can snap and aren’t as solid as their steel equivalents. A good middle-ground is composite poles featuring fibre-glass tubes and metal hoods to protect their joints. Another structural element to consider is the skin of the tent. Tents will usually come in two forms – single or double skinned. Double skinned tents are almost always warmer, due to the extra layer of insulation. They are also more waterproof, as the outer layer allows rain to run-off without touching the inner lining. On the other hand, single-skinned tents are nice and light, more spacious and cheaper (and easier to put up). You might also want to think about any additional features that your tent requires. For example, families may want to include a window to let the morning sun into their sleeping quarters. Vestibules and porches are also popular and practical additions, providing space to eat and prepare food, and to store luggage when the weather is fine. What are the Best Tents for Summer Family Holidays? If you are planning a family trip to UK beauty spots like the Lake District, Cornwall or the New Forest, there are plenty of camping options available to choose from. Most importantly, make sure that you choose a big enough tent. Between 5 and 10 berths should accommodate most families comfortably. These tents will be relatively large, so choose ones that blend lightweight materials and the capacity you need. As their name suggests, summer tents are a great option for warm weather escapes. These tents will usually feature thin materials, large sections of mesh ventilation and more space underneath the rain-fly to allow air to circulate. Tents can become extremely warm when the summer sun shines, so having good ventilation really makes a difference in terms of comfort. In the UK, the need for good ventilation is offset by the need to ensure that you stay dry, so pick a summer tent that ticks both boxes. A good compromise is choosing a three-season tent. Again, as their name suggests, these tents are intended for use in all times of year except the depths of winter. If you love camping, they are a sensible alternative to lightweight summer designs. With their stronger poles, solid panels and more extensive rain-fly, three-season tents create a protective cocoon which allows for enjoyable spring and autumn breaks. Both three-season and summer tents come in a variety of forms. The most advanced are inflatable tents manufactured by brands like Vango or Hi Gear. These models use a pump that can be hand operated or attached to a car, which inflates poles that are integrated into the skin of the tent. Essentially, there are no poles, making them a convenient and simple tent to erect. Other warm weather tents are made in the classic A-frame design – which delivers comfort and are relatively easy to put up, but can be bulky to carry. Then there are vis-à-vis tents. This kind of tent is ideal for families, as it consists of two sleeping chambers facing each other across a vestibule. That way, parents and young children can be close, but separated, which some may prefer to a single sleeping chamber. Whatever kind of warm weather tent you go for, the right accessories can help. A large porch provides protection against summer rains and space to eat a picnic or breakfast, while a tent carpet provides an extra layer of luxury and comfort. If you intend to head to the moors of Britain for a spring holiday, or you plan to take your tent into the mountains, other types of tent will be more suitable than summer or three-season models. Convertible tents are designed to be used in as many different conditions as possible. They will usually feature a range of customisable options, like removable rain-flies, zip-up mesh ventilation panels and detachable vestibules. This makes them handy, versatile and comfortable in most seasons, but it comes at a price – weight. Convertible tents are rarely light enough to strap onto a bike or carry in a backpack, and they aren’t small. For more extreme conditions a mountaineering tent will be the only viable option. This kind of tent is designed to cling to the ground like a limpet and can withstand extreme levels of wind and cold. They can come in both geodesic and tunnel shapes, and both have their advantages. Tunnels are often lighter, as they include more fabric relative to poles. However, geodesic models are more stable and can feel roomier. This stability is vital if you want to camp safely in extreme conditions. Your tent needs to be wind resistant, with a low profile and streamlined appearance (and it's a good idea to practice putting it up before you travel to ensure that you know how to use it properly). A good mountaineering tent should be easy to erect, so that you don’t waste time and energy, and you should be able to carry it comfortably as well. At the lightest end of the market, you might also consider a single tarp or shell tent. Essentially a modern lean-to, these tents consist of a single sheet of material (usually nylon or polyester) that is erected with a couple of poles and lines. Tarps take some skill to erect properly, but are ultra-lightweight and great for fishing or hiking in warmer climates. Backpacking tents are somewhere in between convertible tents and specialist mountaineering tents. They are always lightweight, generally compact, but rugged enough to deal with wind and rain in remote locations. In the past, many backpackers have gone for smaller tents with large vestibules so that they can store their packs close to their person and keep them safe from the rain. Vestibules also provide a little extra space outside the body of the tent, making them handy if you plan to cook. Cooking inside the tent is not recommended due to the risk of fire and carbon monoxide poisoning. However, vestibules add extra weight onto a backpacking tent. When you are carrying around a pack with your clothes, toiletries, books and gadgets, any extra bulk can be a game-changer, so backpackers might want to go for a more basic tent without a vestibule. It all comes down to how you plan to use the tent. If you intend to spend long periods in the wilderness, a vestibule is essential. If you will be near places to eat and other amenities, a vestibule could be an encumbrance – so choose wisely. For many people, music festivals will be a primary reason to buy a tent. As anyone who has attended a multi-day festival knows, having the right tent can make or break the experience, so choose wisely. Generally, festival goers will prefer cheaper tents that are lightweight and compact. However, resist the urge to go for the cheapest and smallest tents around. A 2-3 berth design should provide room for you and a friend, as well as a small amount of baggage. Include a rain porch as well because - at a British music festival - you can guarantee it will rain. Festival tents should also be well-ventilated. Insulation isn’t as important as keeping the interior well-aired and odour-free. Polycotton is a good material to go for, mixing good breathability with waterproof properties. Festival tents also need to be easy to put up and take down. Space is often limited, and time is of the essence, so a pop-up tent makes perfect sense. 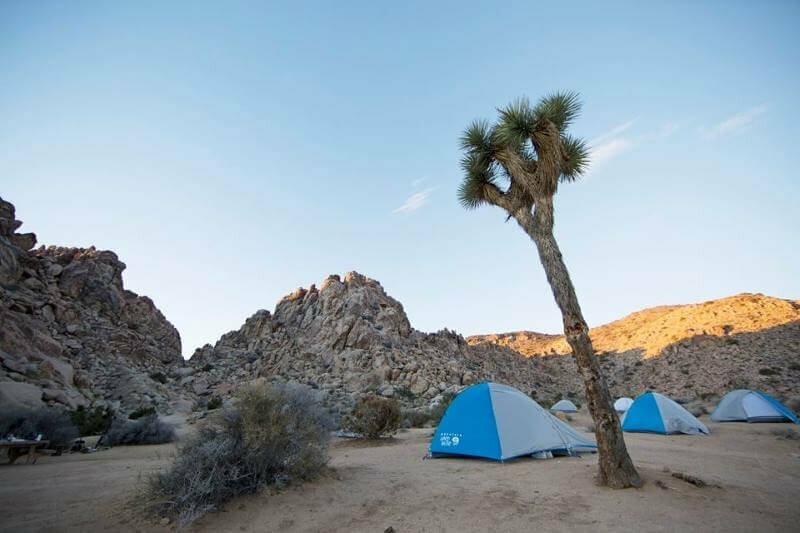 All campers should make sure that their tents stay in peak condition for as long as possible. Not only do you want to get the most out of your investment, but a well-maintained tent will stay waterproof and warm for longer than one that is torn or dirty. Remember to air out your tent whenever you use it. Odours can remain for months after a holiday, and mould can develop on the inside or outside of the tent in a matter of days. Be sure to hang your tent and groundsheet in a breezy spot to give it a good chance to freshen up. Cleaning all of your tent materials is essential, and you can find specialist cleaning products that will get the job done. When you use your tent, take care not to eat inside the tent, as crumbs and scraps will be hard to remove (and in some locations they can attract wild animals who can damage the tent). Keep your food stored in airtight containers. 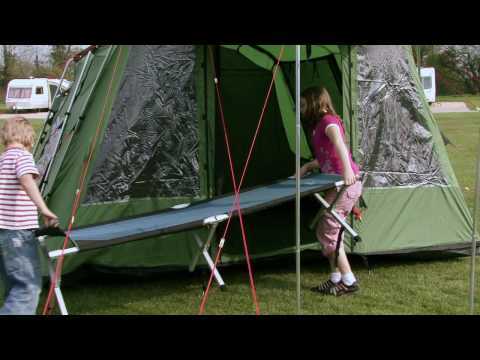 After using your tent, carry out a thorough inspection of all of its surfaces. Any rips or tears can cause the tent to completely lose its waterproof properties, so patch them up with specialist repair kits as soon as possible. What Kind of Accessories can I Buy for My Tent? Camping fans can enhance the experience of pitching their tent with the right accessories. In fact, recent years have seen the rise of “glamping” – a luxury form of camping that seeks to blend the comfort of hotel breaks with proximity to the outdoors. That might not be for you, but you might want to make the experience slightly more comfortable nonetheless. Footprints are a good idea for families or anyone camping in spring or autumn. 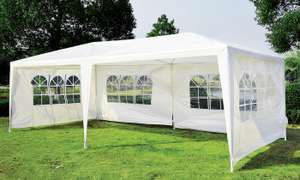 Placed underneath the tent, they help to prevent rips and provide an extra layer of insulation. Carpets are another good addition to your camping trip. Placed on the inside of the tent, they help to keep feet nice and warm by limiting their contact with the cold ground, while they also provide another layer of insulation and help to keep the floor of your tent clean. Porches are a must for many campers. You can use them to provide a shady, sheltered space for breakfasts, reading, chilling out or cooking, and they can be a good place to store wellington boots or sports equipment away from sleeping space. Many people also like to take windbreaks away with them when they camp. You can erect windbreaks against whichever direction the wind is coming from, helping to add an extra element of protection against the cold. They can also provide added privacy for meals, changing nappies or just relaxing on campsites, and they are handy for the beach as well. All campers should take basic spares with them if they have space. Tent pegs, a couple of spare poles, extra guy lines and repair kits for rips represent a good insurance policy against any mishaps. A camping trip can be ruined by an accidental tear or a broken tent pole, so make sure you are covered. It also makes sense to have a good mallet on hand, and cleaning equipment to mop up any spills if they occur. 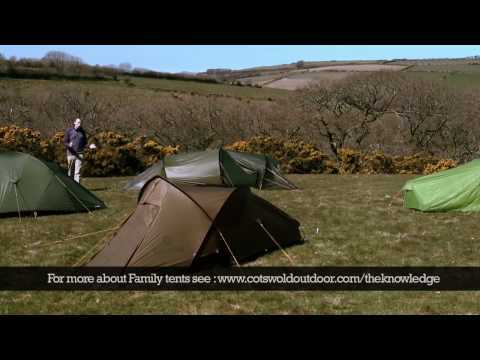 The UK has some excellent outdoor brands, such as Blacks, Vango, Millets and The North Face. Others incluce Coleman, Outwell and Vaude. Massive savings can be found from merchants like Tesco, Blacks, Amazon, Debenhams, Argos, Uttings and Ultimate Outdoors. Look out for a bargain around the New Year, as well as the end of the summer camping season. If you want to head to the coast or the hills in autumn, check out our pages in September to snap up a discount tent that meets all of your needs. At any time of year, savings can be found on high-quality tents of all kinds, so be sure to check the listings regularly. If you need a tent and are looking for a good deal, make sure to check the tent pages at HotUKDeals regularly. We, together with our army of users, will find the best products at the best prices and post it on online.